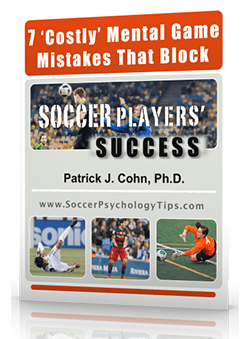 Do you ever have trouble letting go of mistakes during a soccer game? Have you ever been so worried about winning a game or not messing up that you played tight and tentative? 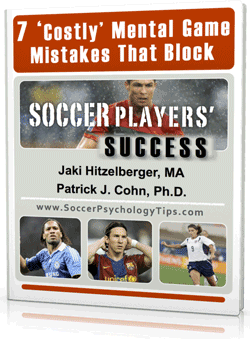 How are elite soccer players able to rebound from mistakes and “play big” on the big stage? You may think some soccer players are just born to handle pressure better. But the reality is that your focus can make a big difference. Elite players have gone through the process of honing their focus during games. The good news is that with awareness and effort, you too can improve your level of focus in games. Paying attention to the process instead of outcomes and personal statistics. Being immersed in the moment and flow of the game. Focusing on execution and your role on the ice. Learning to practice the way you compete. Sean Johnson, 24, is the goalkeeper for the Chicago Fire in Major League Soccer and is recognized for his keen competitive focus. Johnson has the fifth most saves in the MLS this season and has played internationally with the US national team since 2011. The key to Johnson’s early success has been his sharp focus. Johnson recognizes that like any physical or mental skill, focus requires work. In order to improve your game-time focus, you want to start in practice. Your intensity and focus in practice will dictate your improvement and focus in the game. When you make a mistake in practice, let it go and focus on what you need to do “now” at this very moment. You must recognize when your thoughts start drifting to results (“We need a score now”) and focus on the process or just playing the game. When you practice with intensity and focus in a game, you will elevate the level of your play. 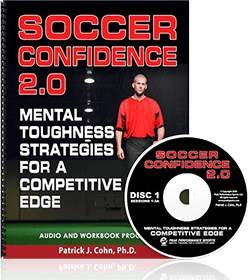 Professional players are not pros just because of their physical talent… They reached the top of the soccer world by harnessing a strong mental game and drive to perform their best! Sounds crazy my almost 13 year old daughter is very talented but her head gets in the way. She is a starter at striker – She has amazing games one day and the next she’s a different player, She’s inconsistent we need a few tools to help her.